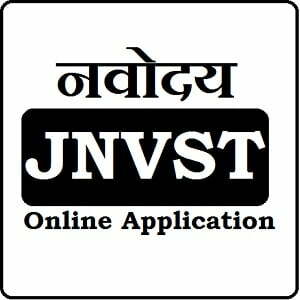 JNVST Online Application 2019 Registration is available as Navodaya Online Application 2019 for Class 6th, 7th, 8th, 9th, 10th and 12th Standard Jawahar Navodaya Vidyalaya Lateral Entry & Admission Selection Test at CSC centers and NVS official website of http://www.navodaya.nic.in…. The Jawahar Navodaya Vidyalaya Samiti is announced JNVST 2019-20 Notification to invite applications for 5th to 6th class admission selection tests from eligible students, and the application registration available from Common Service Centers across in the country, all class 5th standard students who have interested to join in to NVS schools they can apply to the JNVST 2019 Admission Selection test for getting eligibility to take 6th class admission in Navodaya Vidhyala School through JNVST 2019 admission Selection test 2019. The Jawahar Navodaya Vidyalaya Samiti has announced JNVST Detailed Notification 2019 for 6th class admission test with class 8th, 9th, 10th and 12th Standard Lateral Entry tests and they have invited applications from eligible students and the JNVST Notification 2019 is announced with complete details of application registration, fee, eligibility with complete schedule of Navodaya Exams 2019. Interested students can apply for JNVST 2019 through online before last date to get admission in to Navodaya Vidhyala Schools. * Official Notification Not Yet announced, we will update complete schedule after official announcement. Candidate can register JNVST 2019 application before last date and the Navodaya Application 2019 Registration Service available at nearest Common Service Centers Only, and the NVS officials are invited offline application registration in previous year we feel there is no possible to apply offline application registration, So Students who have interested to apply for Navodaya Exams 2019 they can apply through Online from CSC centers for class 5th to 6th and 7th, 8th, 9th, 10th and 12th Lateral Entry tests using bellow steps. Now Save the Reference ID Number with Application Printout Copy for future reference purpose. Candidate Can pay Rs 35/-(Rupees thirty-five only) for application submission or registration Service charge to CSC, and there is no general and reserved categories to reduce in fee payment. The class 5th Standard students who have completed their education at Govt./ Govt. aided or other recognized primary school of the district and the students who have between 9-13 year of old on 1st May 2019 those boys and girl students are eligible, and every can carefully read the JNVST Detailed Notification 219 to getting complete details about eligibility criteria with selection process. Right now there no official announcement about JNVST 2019-20 application registration, we have updated the details with complete schedule here after official announcement by Jawahar Navodaya Vidyalaya Samiti, and candidate can visit nearest BEO / DEO or Principal of NVS school to get complete details about JNVST 2019.